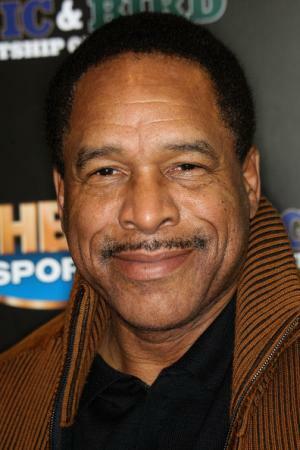 David Mark Winfield was born on the 3rd October 1951, in St. Paul, Minnesota USA, and is a former Major League Baseball (MLB) right fielder who played for such teams as the San Diego Padres (1973-1980), New York Yankees (1981-1988, and again in 1990), California Angels (1990-1991), Toronto Blue Jays (1992), Minnesota Twins (1993-1994), and Cleveland Indians (1995). His career started in the early ‘70s, and after his retirement in the mid- ‘90s, Dave started working as analyst for ESPN. He also serves as special assistant to the executive director of the MLB Players Association. Have you ever wondered how rich Dave Winfield is, as of early 2017? According to authoritative sources, it has been estimated that Winfield’s net worth is as high as $12 million, an amount earned through his success as a player, and as an analyst and MLB executive. David’s childhood was troublesome, since his parents divorced when he was three, and with his brother he was raised by their mother, and nurtured by their uncles and grandparents. After he matriculated, Dave enrolled at the University of Minnesota, where he excelled in both baseball and basketball. He also played summer league for the Alaska Goldpanners in 1971 and 1972, and in the latter year he was named MVP. After his college days ended, Dave was drafted by four teams in three sports, although he never played football at college. He was selected by the San Diego Padres of the MLB, Utah Stars of the ABA, Atlanta Hawks of the NBA, and Minnesota Vikings of the NFL, only the fourth player to achieve such a thing, with to Noel Jenke, Mickey McCarty and Dave Logan. Dave focused on baseball, and signed a professional contract with the San Diego Padres. In his first season, Dave immediately played in the majors as a batter, but also in the position of right field. His stats numbers were impressive, since he batted .277 in the 56 games he played. He continued to impress his teammates, coaches and media as well, rising to national stardom in 1977, when he made his first All-Star appearance. During his career, he made 11 more All-Star appearances, consecutively until 1988. He played for the Padres until 1980 when he became a free agent, the season after he received his first Gold Glove Award, which he would receive six more times, 1980, 1982-1985 and in 1987. After the Padres, Dave signed a contract worth $23 million over ten years with the New York Yankees, making Dave the highest paid player in the league. He continued to play successfully for the Yankees, and led them to post season after post season, however, the final step was never there. He left the Yankees without winning the World Series. Nevertheless, he did receive several other awards. After the Yankees, Dave’s next stop was the California Angels, however, after one season he joined the Toronto Blue Jays, and that year won his only World Series, making also the Toronto Blue Jay the, only team outside USA to win the (so-called) World Series. Although aging, Dave still felt he had games in his hands, and joined the Minnesota Twins, playing with them until the baseball strike in 1994, after which he was traded to the Cleveland Indians. Thanks to the entire cancellation of the season, in order to set the trade right, the Minnesota Twins and Cleveland Indians went to a dinner, with Minnesota executives paying the bill. As a result, Dave is the only player in history of the game to be traded for a dinner, although in official documents it is stated that Dave had been sold to the Indians. In his last MLB season, Dave played in 46 games and had .191 batting average. He finished his career with a .283 batting average, 3,110 hits, 465 home runs and 1,833 runs batted in. In 2001 he was inducted into the Baseball Hall of Fame, having already been inducted into the San Diego Hall of Champions in 1998. Post- his playing days, Dave joined Fox in 1996 as an analyst, and then ESPN in 2009. Meantime he was a senior advisor to te San Diego Padres from 2001-09, and from 2013 has been a special assistant to the MLB Players’ Association. Regarding his personal life, Dave has been married to Tonya Turner since 1988; the couple has two children. Having achieved fame and fortune, Dave decided to give back his share to the community and started the Dave Foundation, through which he helps families and children in need, and has started numerous educational programs. Thanks to his philanthropic activities, Dave received the Roberto Clemento Award in 1994.